Includes unlimited streaming of A Mohawk Valley Tribute via the free Bandcamp app, plus high-quality download in MP3, FLAC and more. 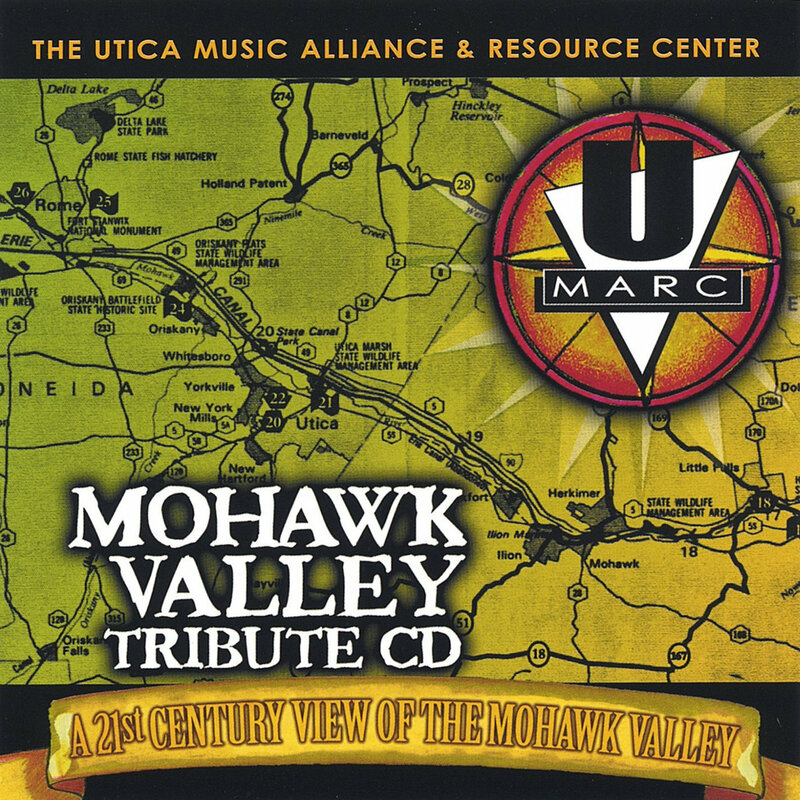 The Utica Music Alliance & Resource Center, Inc. (UMARC), a non-profit organization dedicated to encouaging the creation of original music, assisting musicians in the business of music, and exposing these arts to the public, released their Mohawk Valley Tribute CD. The project, spearheaded by UMARC Executive Director, Robin Raabe, began in January 2004. UMARC held a contest soliciting local songwriters to write songs about the Mohawk Valley. The many submissions were then judged by area arts professionals and they chose the top eight compositions that best represented the area. The winners, Dan Mayack, Kevin Keating, Beautified Soul, Ryan Miller, Mark DelMedico, Steve Serviss, James Millbower & Lori Thompson, were then given the opportunity to record the songs professionally at Gecko Recording Studios in Clinton. Lyman Nephi Christensen, owner of Gecko, donated the recording and production for the project. HodgePodge Studios donated the cover art and the CDs were manufactured by DiscMakers. A grant from the CNY Community Arts Council assisted in this endeavor. A portion of the CDs will go to benefit many Mohawk Valley Historical Societies.